Attempts to stake a definitive claim to the origins of yoga invariably spurs controversy. 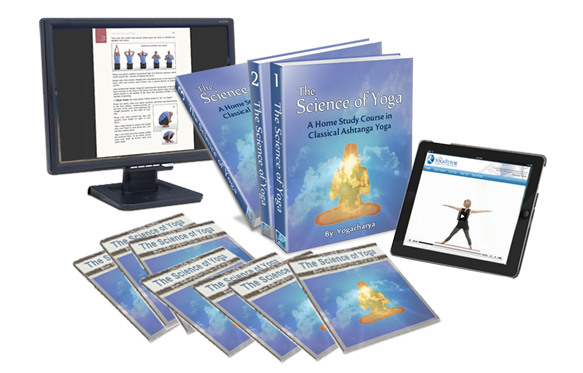 This is of course due to the fact that much of what is being practiced under the umbrella of the word yoga stems from a wide variety of people, practices and periods of time. Many of the so-called 'purists' lay their foundation with Sage Patanjali, who's Yoga Sutras are considered the definite text of the raja yoga system. But Patanjali himself merely codified the spiritual thought of his time into a systematic and organized form. His teachings were also deliberately vague, and served primarily as guidelines for those who were already initiated into the teachings of yoga. Others point to a range of classical literature spanning several centuries, such as the Hatha Yoga Pradipika, the Goraksha Sataka, the Gheranda Samhita, the UPANISHADS, and the Siva Samhita. 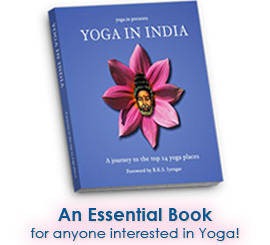 "Can classical yoga, the origins of yoga, be found in written classical tradition? Everyone knows the ancient Gurus never openly taught any of the sacred lore. In the words of Swatmarama Suri, 'The yoga gains potency when kept secret and loses power when revealed.' Nothing was spoken of or written in elaboration. All was kept discrete, subtle, unspoken, and indirect. Especially were the Gurus cautious about the written word. Where, then, does the true classical yoga lie? Yoga was more than a particular teaching. Yoga was a way of life, a culture, a lifestyle which encompassed not just techniques, practices or ideas, but also eating habits, bathing habits, cultural use of the body, prayer, social interaction, and work. Yoga included a vast body of 'attitudes toward being', an ingrained sense of morality and ethics so strongly etched on the character that it would be literally unthinkable to transgress the limits set by those moral, ethical rules. Yoga was the bedrock of the personal, social, and cosmic order, which developed in that part of the earth known as Bharata [India]. yoga was the essential cornerstone of Sanathana Dharma (eternal law) and the Samskrithi (culture) which evolved from its exalted concepts. [Therefore] it is in the ancient Samskrithi of Bharata that classical yoga is to be found. The restoration of those ancient values in each individual’s life is the foundation on which every Sadhana must be based." The authoritative texts that reveal the cultural foundations of ancient India are the earliest scriptures known as the VEDAS. These volumes, written in the sacred language of India, Sanskrit, were authored by the ancient saints and sages referred to as Rishis, or the Vedic 'seers'. There are four VEDAS in number, and collectively they explain and regulate every aspect of life, from supreme reality to all worldly affairs. The UPANISHADS, which contain the spiritual messages of the ancient VEDAS, along with the great Indian epics such as the Mahabharata, (which includes the BHAGAVAD GITA) and the Ramayana, and much of the classical literature to follow, bring the lessons and teachings of the hymns and prayers of the ancient Vedic texts into the practical realm of day to day life. These texts have inspired India's greatest minds for centuries, and collectively remain today the highest spiritual authority throughout much of the Indian subcontinent.